It is good to use it, isn't it quite good? This review is about item#6846253. I often use it for lighting of night work. Because it is reasonable and lasts long, it is saved. It is good to be a manufacturer brand. I would like to purchase again. We obtained it for remote control of home appliances. Although it can be used without problems, about the usable period is now. I am always placing an order. I will serve longer than the one of the 100 yen shop and the reliability is high. I bought it for Maxell. It is cheap for the manufacturer. I have not measured the possession compared with others. I use it for many remote control in the house so it is cheap and saved. Since it puts into equipment to be used on site, it is used in large quantities. Manufacturer's goods will be saved at affordable prices. I think that there should be 10 packs and so on. This review is about item#06846253. Buy one after another while buying other items. Because it is made by Japanese manufacturers there is a sense of security. I am using a rechargeable battery, but it is safe to put some. Quality is not a problem in particular. Even small quantities are bought because unit price is cheap. The validity period was also fine in June 2022. Cheap and good quality. It withstands full use. I will repeat again. 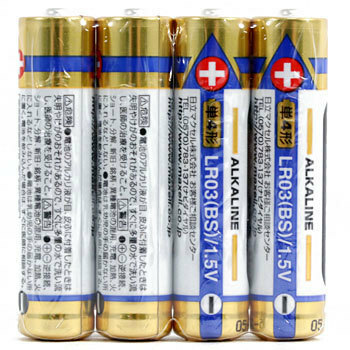 Costs were reduced as famous manufacturer's batteries are cheap. I think that the variation in voltage drop when using 2 or 3 pieces is small. An ordinary Hitachi Maxell dry battery that is likely to sell anywhere. Noteworthy. In the case of batteries to be kept in the remote control to deliver to the customer, it is saved because it looks good as it is a maker item. I am satisfied that the price is also cheap with the products of a safe domestic manufacturer. Although I can not evaluate quality unless I run out of it several times, there is a sense of security that it is made by a manufacturer first. Recently there are bad goods where liquid leakage begins from use, so at least it should be able to clear this. At the same time, I also purchased a "full size battery adapter", so I can cover A to A in this one, I would like to repeat in the future.